For more information on any specific listings or to arrange a personal showing please contact us at resupport@axoncapitalrealty.com. A 32-unit, 4 story boutique loft condo is making headway at 14 Dewhurst Blvd. Nestled in the quiet, residential streets of Riverdale, this smaller building is going to turn heads. 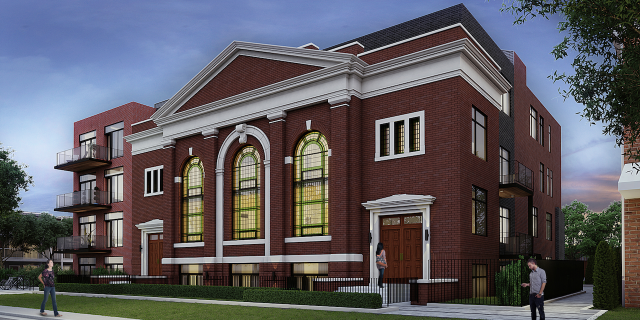 With plans to incorporate an existing 1925 Temple Baptist Church facade, many of this condo’s details will boast exquisite, smooth details on the windows and doors, leading homeowners -and onlookers alike – to believe they’re living not only in a new home, but one with incredible character. While regal and nostalgic on the outside, Sunday School Lofts will come to life with modern finishes one could not look past. Large kitchens equipped with quartz countertops, 8′ interior doors, embellished master suites, hardwood flooring throughout, and a rooftop green terrace, this condo will sell fast for those looking to be in the city with a suburban feel. 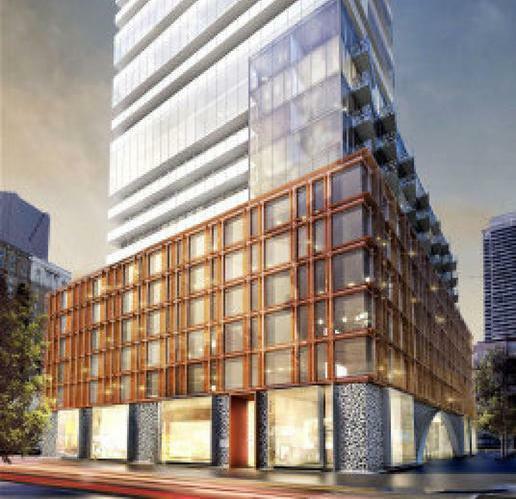 14 Dewhurst will incorporate 32 gracious units, including 8 penthouse suites -7 which will be 2-storeys. 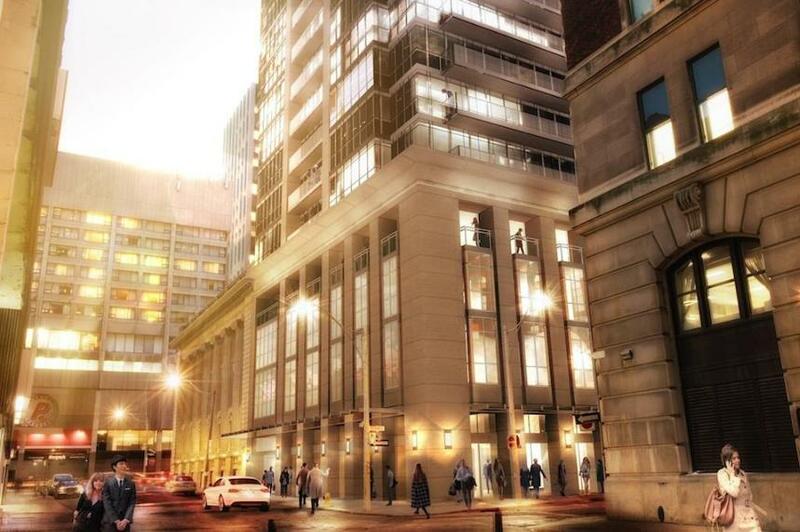 Sixty Colborne is situated between King and Front, just off Church Street. One of the development’s strongest selling points is the neighbourhood it’s situated in. This is Freed’s first venture into the neighbourhood, as they typically develop in the King West area. The location is perfect, situated steps from the St. Lawrence Market and the Financial District. It is steps away from the TTC, Eaton Centre, the Gardiner Expressway, the water, grocery stores, and plenty of great nightlife and dining options, as well as Union Station. Access to Union Station will be even more exciting as direct access from Union to the airport will be in place by the time the Pan Am games comes to Toronto in 2015. Coincidentally, this is the time that Sixty Colborne is slated for completion. Another plus of this neighbourhood is the community feel, as the St. Lawrence neighbourhood is less transient than the King West neighbourhood. Developed by Lifetime and CentreCourt Developments, INDX is a condo that will rewrite the book on condo-work-life balance. Coming to Bay & Adelaide, this 54-storey condo is designed by Page + Steele / IBI Architects, with interiors by Cecconi Simone. Located next to the historic Graphic Arts building, you’ll be right near work, but still in the heart of the city and close to all the action once play time rolls around. Amenities unfold over a two-storey space, including a fitness centre, poker room, boardroom, two guest suites, party room, movie theatre, sporting room, putting room and more! There will also be a separate outdoor terrace with a water feature and cabana seating. Suites will feature 9’ smooth finished ceilings and floor-to-ceiling windows. Kitchens come with your choice of custom cabinetry and countertops, as well as an energy-star rated appliance package, and an under counter wine fridge. You can also choose your own bathroom cabinetry and countertops, as well as the type of porcelain flooring in your bathroom. Be sure to include INDX as a page in your book! Ten York, a proposed 75-storey building, will be Tridel’s tallest building to date. This 774 unit residence is set to launch sometime in spring 2012. Luxurious one bedroom, one bedroom + den, two bedroom, and three bedroom suite designs will soon be available. The building will be located between the Gardiner Expressway and the York St. off-ramp at the northwest corner of Harbour St. and York. 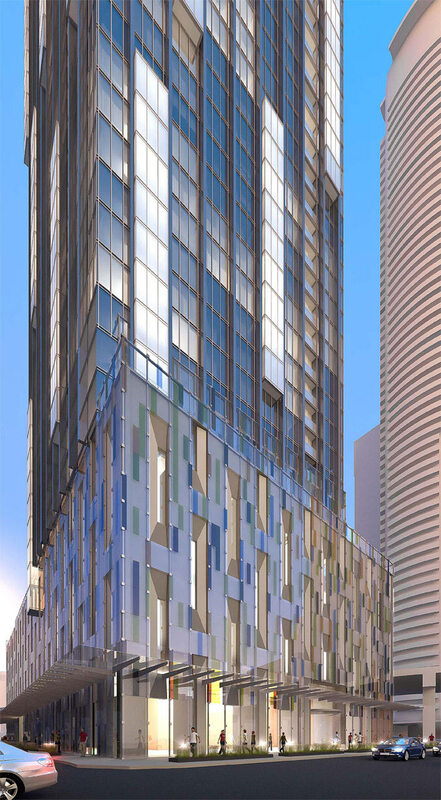 Architect Rudy Wallman’s design for Ten York was inspired by the Northern Lights. To capture that essence, the building’s exterior will have vertical glass boxes, which will shimmer slightly by catching light at different angles.